large cats (tigers, lions, cheetahs, jaguars, panthers, leopards, lynxes, cougars, mountain lions, ocelots, etc). At first, it was just basic admiration, but the more I learn, the more I am drawn to their way of being. Their grace, their focus, their resilience, their flexibility, their adaptability. 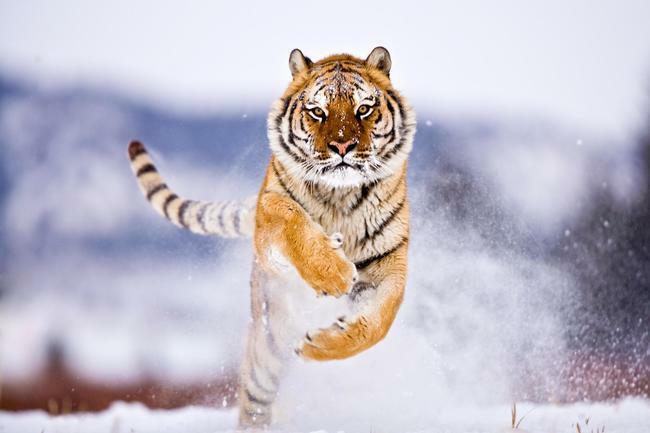 The gazelle changes direction and the cheetah follows; prey rarely hears the leopard’s silent stalk; tigers are unassumingly beautiful until they unleash their fluid fury and deliver destiny to their dinner. This all sounds violent and constitutes the precise reason that my mother always hated the Discovery Channel. But something about it–the contradiction between violence and grace, the perfect alignment between intention and expression in the moment of truth–intrigues me. I’ve wasted more time and mobile phone data than anyone ever should scouring the web for the best of big cats. For those of you interested in joining me down this rabbit hole, here are a few favorites. This Quora discussion–“Who would win in a fight: Lion or Tiger?”–makes for an entertaining read. This riveting video of a snow leopard chasing a mountain goat down 80-degree nearly-vertical rock faces might pique interest. This TED talk–“Life Lessons from Big Cats”–by Beverly and Dereck Joubert won’t just teach you something; it might also bring you to tears. Part of why I’ve come to admire these animals is that their actions demonstrate such purity of character. You don’t have to anthropomorphize to look at this lone leopard’s epic bravery in proactively defending her cubs against a pack of wild vicious baboons. This art exhibit–Ashes and Snow by Gregory Colbert–changed my life. Colbert dissolves all inter-special boundaries and–I have no better way to say it–makes life come alive. And his videos nearly freeze time. This poster is one of only two hanging in my furniture-free apartment. If you’re in for a longer look, the movie The Last Lions (also by Beverly and Dereck Joubert) conveys the sheer intensity and emotional richness to be found in these animals’ lives. And here are some easy ways to save the big cats from extinction. RANDOM CRAZY BONUS: Eagles hunting wolves in Mongolia.